The Fight Nights showdown is back in the Russian capital for the seventh time on Thursday. 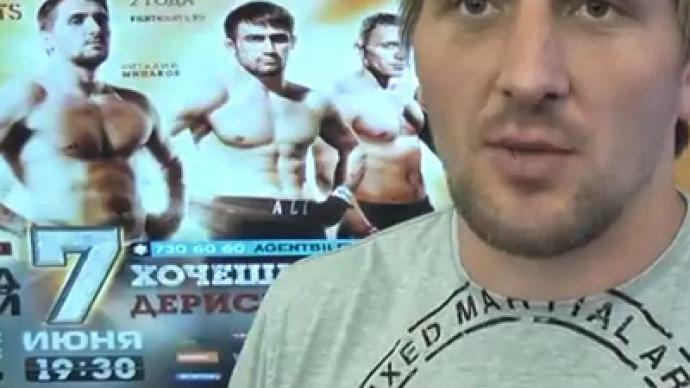 Top of the bill will see one of Russia's best heavyweight prospects Vitaly Minakov facing American Eddie Sanchez. ­The 29 year-old Sanchez is the vastly more experienced of the two. He has won 13 of his 19 fights and has competed on the world's biggest stage at MMA promotions such as UFC and Bellator. His Russian opponent, however, is the three-time World Sambo Champion whose strength is obvious with four of his seven professional wins by way of submission. Sanchez looks no less confident ahead of the fight. “Of course, as we saw some tapes of his fights, his weak point definitely would be the standing, the striking. He says he's ready for anywhere, so we'll see. I love surprises, like he was saying, let's see what happens. I think, there's a lot of talk, once a fight comes on he'll try to throw me,” he says.